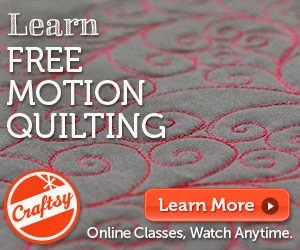 Debby Brown Quilts: "Inspired Free-Motion Quilting" blog hop and GIVEAWAY! That is a cute postcard, and I would be honoured to win it! My goal this year is go get healthy and move more. AND, if you are looking for a quilting goal, planning on making a special quilt for grandbaby #3 once I find out the gender in February. My goal for this year is to organize all my sewing stuff, including “The Stash.” I’ve purchased IKEA Billy bookcases with doors to keep out sun and dust. My nephew built them yesterday so let the folding begin. I’ve been in HandiQuilter classes with you, Debbie. Look forward to taking more, and my goal this year is to become really comfortable with my Amara. Mine is as simple as cleaning off my cutting table and keeping it that way this year. Would love this postcard and want to try making one! Thanks for tutorial. Goals are to move more and sew more! I would love to win the postcard. I still need to try making some. My goal is to get my craft/sewing room organized. My goal is to have no UFOs by the end of the year. What do you think my chances are? I love your postcard, and would love to get it in my mail box. And that book would be great, as I'm taking my first class in freemotion quilting next week. I might try to copy your card, thaks a lot for the tutorial. That is a cute postcard. My New Years goal is to put away the leftovers from each project when I am done. Your postcard is so sweet! Yes, I would love you to mail it to me! I would really like to start a blog, but haven't gotten my act together to do so! 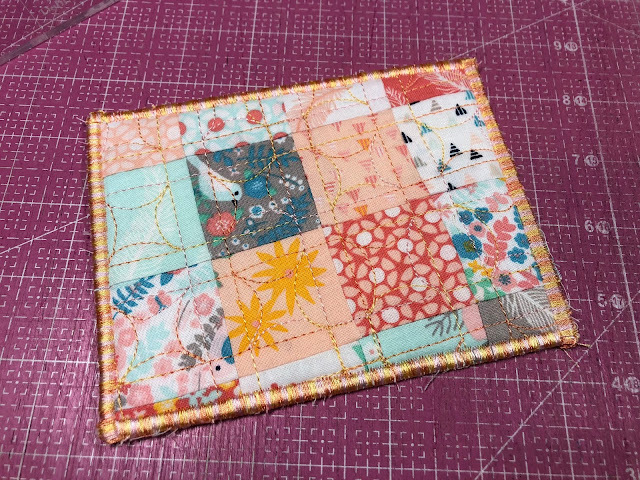 My goal is to improve my free motion quilting so that I am happy with it most all the time. My goal is to walk every day enjoying the things I see outside. My goal is also to walk with my walking foot on my quilts. Peace in the world--real or imaginary? My goal is to get used to my new sewing machine. My old one pretty much died. :-< So I bought a new one that is a different brand. I liked the old brand, but the dealer for that brand is 45 minutes away, while the dealer for the new brand is only 20 minutes away, and does service on site. By the way - lost socks disappear into a time vortex, only to reappear sometime in the future. And only after you have thrown away it's mate. I have a few quilty goals, but primary one is to complete the donation quilt for our guild's fundraiser for next year. It is due to be revealed in July, so I think I can make that one. Plus this is our guild year for QuiltFest, so need to make at least one show quilt for it! Thanks for the opportunity to win, Debby! My goal is to get all of my fabric yardage folded onto boards and looking pretty on my shelves! I got a start on this last year but then got distracted by other projects. My goal is to spend at least 4 hours quilting each week. I spend a lot of sewing time because I do alterations, but I want more quilt making time. Imaginary... where does time go???? I need to find it yo have more time to quilt. Love your postcard! 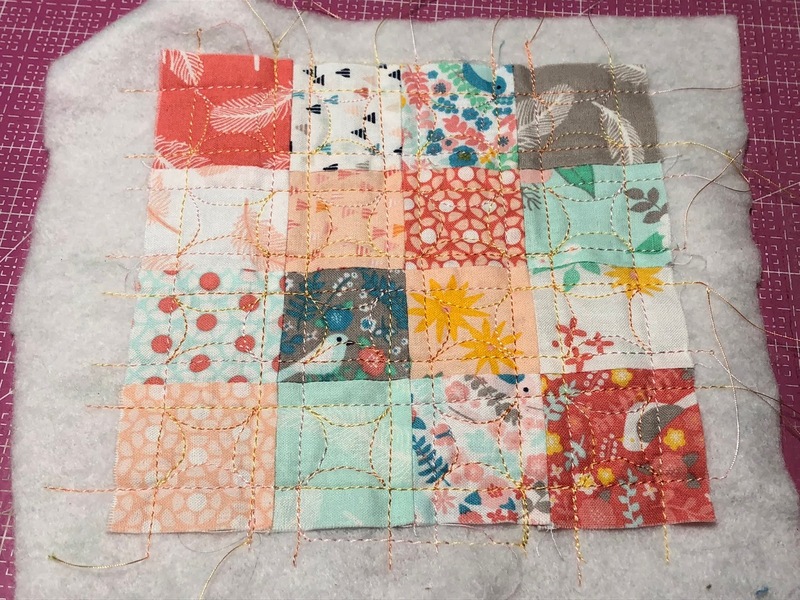 My quilty goal for 2019 is to longarm my 7 pieced tops before I begin to piece another! My goal this year is to sew more and worry less. I want to finish projects started and start new ones! 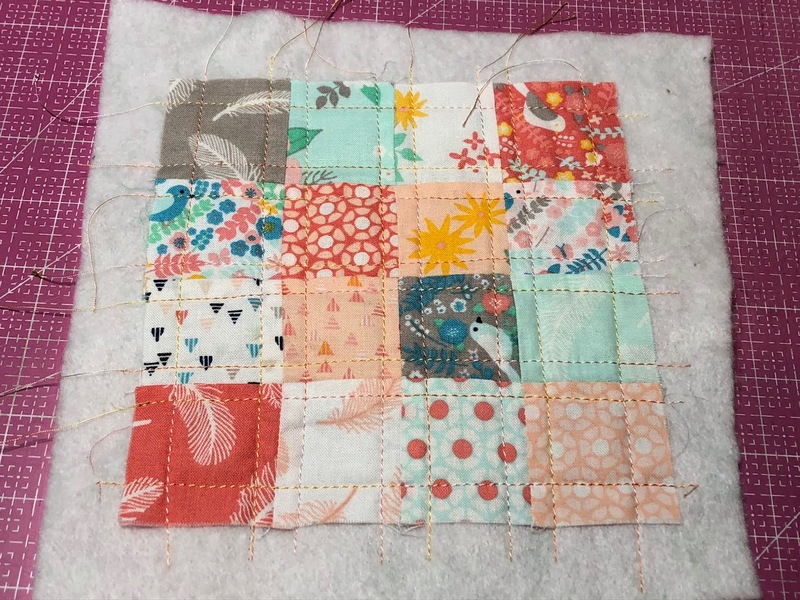 I want to worry less about whether I will have enough time to make all the quilts I want to make and just make as many as I can in the time the good Lord allows me yet on this earth. I would love for you to send this postcard to me! And I would love an opportunity to win the book...New year's goal...I like the idea of a happy healthy sewing space like you are doing this year! Truly inspiring...although I don't have a designated area, so I'll have to take some time to see how to implement this. 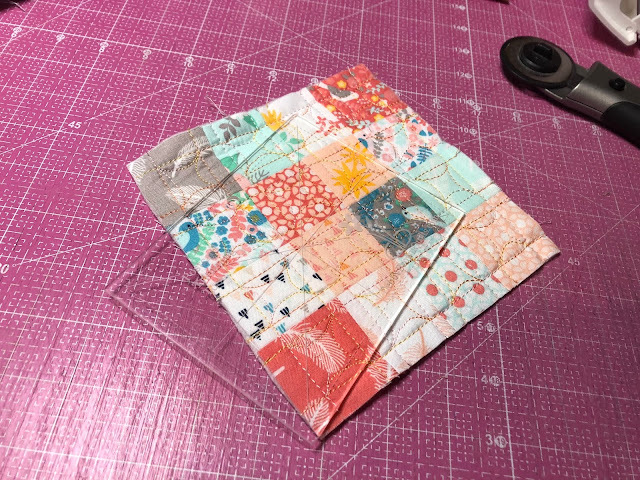 My goal for this year is to face my fear of free-motion quilting...I think I am just too critical of my own work! In my hallway is a long shelf displaying fun fabric postcards I've received. Yours would be a welcome addition! My goal this year is to increase my skills in free-motion quilting with my Sweet Sixteen. I would love to win the book and put it to good use in the acquisition of new skills. Plus the postcard looks fantastic! 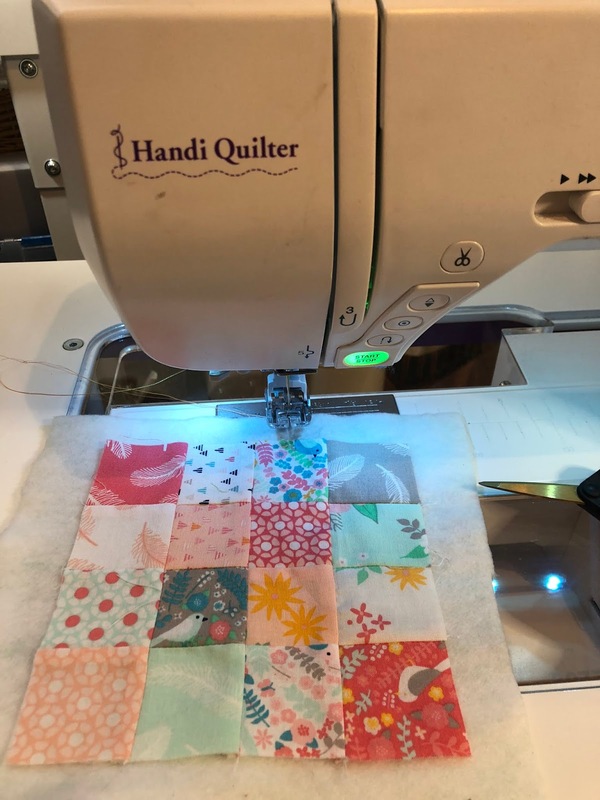 My goal for 2019 is to get my studio, in my new home in South Carolina, all set up so I can quilt without having to bump into things and to be running up and down stairs to piece and quilt on my HQ Avante. I'm still in NY now with 1/2 my sewing stuff and the other half is in SC. It will happen... it will happen and I can't wait for the day. Love all your post cards Debby... and will have to make some of my own as I have the same machine. My goal this year was really to finish things up. What have I done this week but quilt tops made by others for the Quilt Cupboard at one guild and for David's House for the other guild. Another goal is to finally understand my new Forte and Pro Stitcher, and, guess what, I had an AHA moment this afternoon. Yea! hings like that also. thank you for the opportuniuty!! That is a really neat postcard. 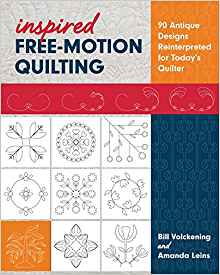 I would love to win the book, I am just beginning to get into free motion quilting and loving it. 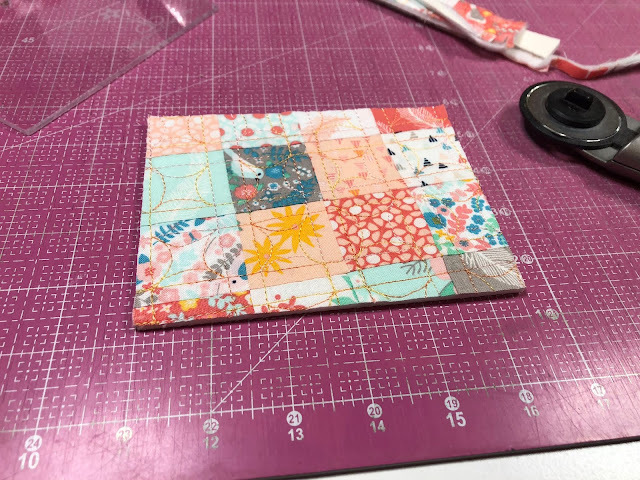 I am always looking for new ideas and how to quilt different blocks. My goal for the year is to get my sewing room straightened up. And of course more piecing and quilting. I have been quilting for many years but mainly stitched in the ditch in fear of free motion and ruler work and messing up a quilt. I know the key is practice makes perfect. My other goal for the year is to work on UFO's. Happy New year and thank you for the opportunity to win these wonderful prizes.